Tenaya Lake is located in Yosemite’s high country or alpine region of Yosemite National Park, California between Yosemite Valley and Tuolumne Meadows. 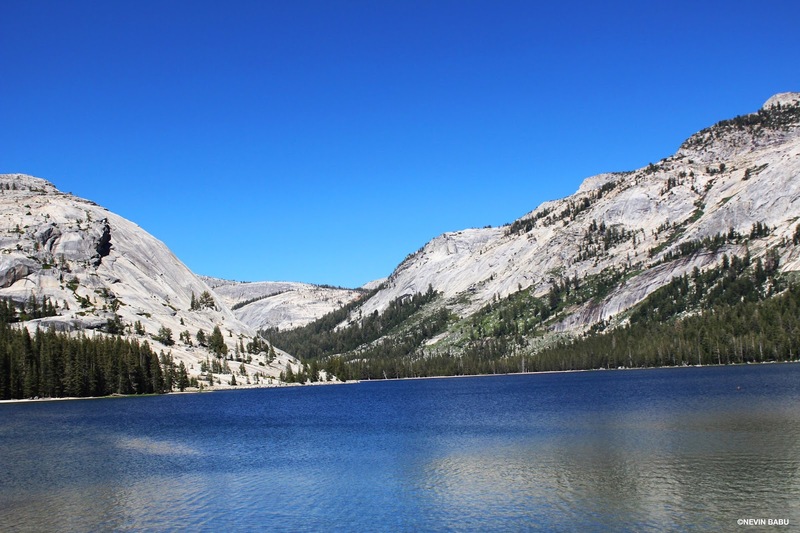 The surface of Tenaya Lake has an elevation of 8,150 feet. The lake was created by the Tenaya Glacier, which flowed out of the vast Tuolumne Ice Sheet and down to Yosemite Valley. It is sometimes referred to as the "Jewel of the High Country" and it a popular spot for kayaking, boating, swimming and even sunbathing. Tenaya Lake can be accessed by car via Tioga Pass Road, which is called California State Route 120 outside the park. Because of its remarkable scenic qualities, its inviting blue water, and its proximity to Tioga Road, Tenaya Lake is one of the most popular destinations for summer visitors in Yosemite.